St. Bonaventure University’s online Master of Arts in Strategic Leadership (MSL) will prepare you to transcend management and become an extraordinary leader. The program extends beyond the traditional, management-focused MBA by providing a more forward-thinking, holistic leadership approach to advanced business education. Distinguish Your Leadership — Transform your approach to leadership by cultivating a comprehensive set of skills and abilities that will separate you from the pack. Build Your Value — Immediately apply your learning to become a more effective organizational leader and boost your overall earning potential. Develop Connections and Confidence — Master the art of impactful communication to create genuine relationships and foster clarity and trust across interdisciplinary boundaries and global geographies. Increase Your Opportunity — Position yourself for career growth by learning to wield a broader scope of influence and impact as a change agent who can think beyond the bottom line. Grow Personally and Professionally — Develop the acumen to think and operate on a completely different level, transitioning from individual contributor and manager to highly skilled organizational leader. Graduates of our online Master’s in Strategic Leadership program not only become strong managers, but real leaders who can think strategically, work across interdisciplinary boundaries, and communicate with eloquence and confidence. Students begin the program with a cornerstone course that introduces them to contemporary leadership principles and practices. Franciscan values related to effective leadership such as servant leadership, respecting each person’s dignity, and humility as leaders are explored and self-assessments are used to help students gain insight into their own leadership strengths and areas for improvement. Students will complete a 360 degree evaluation and receive individual coaching on their leadership abilities. People have intrinsic value beyond their tangible contributions in the workplace and the community. Understanding the unique contributions of diverse individuals makes an organization effective by capitalizing on all of the strengths of each employee. This course investigates the increasingly prominent issues surrounding diversity. Theories on gender and minorities in the workforce are reviewed so that students gain an understanding and appreciation of the special circumstances they face in modern society. Special emphasis will be placed on the role of the leader in organizations that are addressing the needs of a diverse workforce. Effective leaders promote the transformation of self, organizations, and systems to create a culture of service and to build community. In this way, leaders must be effective in working in multiple contexts to effectively empower and motivate others. This course builds on theories in managing human resources that help leaders effectively select, train, develop, and build shared vision among employees. Students will evaluate team leadership strategies for empowering and involving others, as well as examine a leader’s coaching and mentoring roles as performance enhancement strategies. This course focuses on issues that drive global policies, economics and behavior. As we live in an increasingly global world, this knowledge can help leaders to make far more informed decisions in their own work environments and understand more clearly the impacts of those decisions on people, nations, and global systems. The latest leadership theories, models, concepts, principles and practices regarding leadership issues, within the context of global, international and multicultural organizations are explored. Students will be expected to prepare a Leadership Portfolio of projects and activities that best demonstrates their professional development throughout the program. Students will be individually advised and coached on the quality and content of their portfolio and the goals achieved in the program. Complete in as few as 12 months - just two, seven-week courses per semester. Affordable tuition with financial and military aid available for those who qualify. St. Bonaventure’s online master’s in strategic leadership enhances the most important aspects of the MBA. Whether you’re a seasoned leader or ready to become one, the program is specifically designed to develop your leadership potential. Our interdisciplinary approach helps alumni become well-rounded leaders of people and organizations. Organizational Intelligence — Understand all facets of an organization and gain the ability to navigate legal, political, and ethical issues to exert influence. Cross-Functional Awareness — Look across departments and understand responsibilities to assess the full organizational impact of your decision-making. Command of Language — Learn advanced communication techniques that allow you to establish a vision, build credibility, and create trust across all levels of an organization. Problem Solver — Affect change, seize opportunities, and solve organizational issues using technical, analytical, and strategic techniques. Global Mindset — Develop a big picture perspective and the ability to look beyond a single function, geography, or methodology. To speak with an enrollment advisor about how these skills can shape your career, contact us. 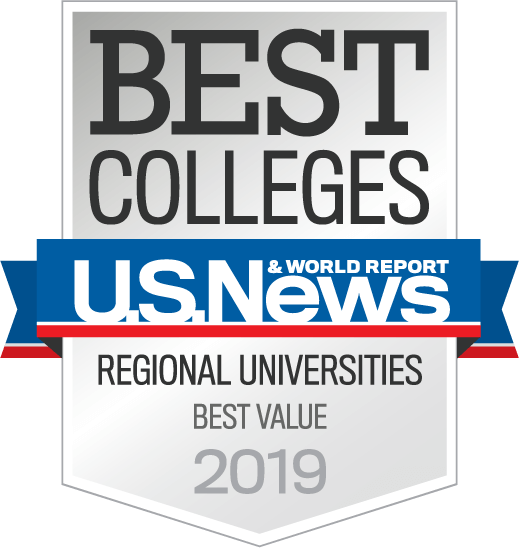 St. Bonaventure’s designation by U.S. News & World Report as a Top 20 School in the North for Veterans affirms our commitment to provide educational support and excellence to active military personnel, veterans, and their dependents. 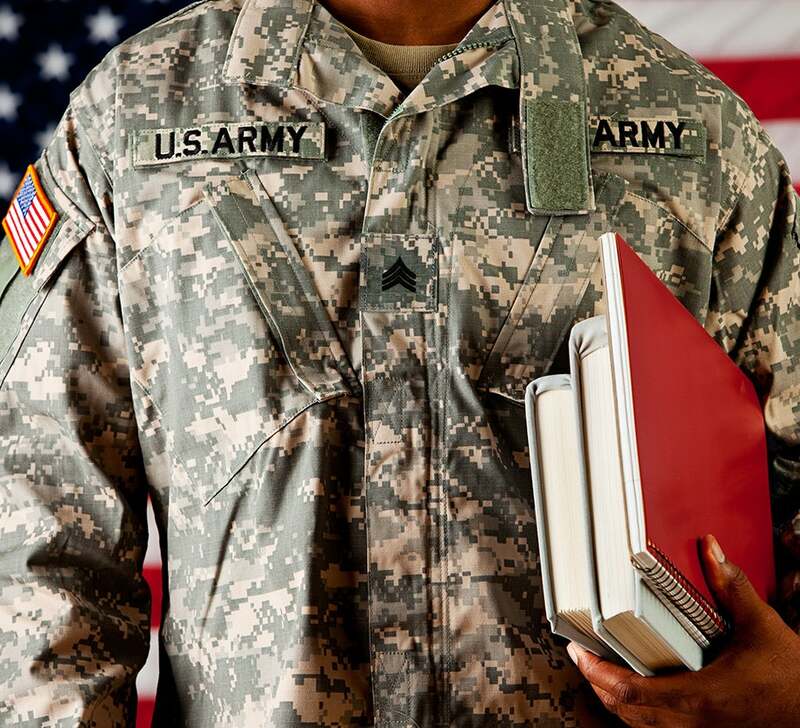 We offer a tuition discount to active military service members, a credit waiver to Command and General Staff College graduates, and tuition aid to military-aligned students. 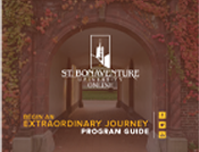 As a student at St. Bonaventure University, you will find that help is always at hand. At first, you will interact with your personal enrollment advisor who will guide you through the admissions process and get you started in the online strategic leadership program. Once you are enrolled, you will have a dedicated student success advisor to guide you through the program until you graduate.